During the late 1980s the Northwest Black Pioneers (NWBP) was conceived by participants of the Roots Festival, an annual African American cultural gathering in Seattle. In the summer of 1987, a steering committee formed in that same city to discuss strategies to encourage The Bon Marché Department Store, one of the largest mercantile businesses in the city, to support black history and culture. The meeting resulted in the committee and store executives founding the NWBP. The newly formed organization and its corporate sponsor The Bon Marché decided to showcase “A Tribute to the Northwest Black Pioneers.” The tribute included sharing the history of Blacks in Seattle with the city through exhibits of photos and artifacts. On February 17, 1988, the NWBP launched its first black historical exhibit at The Bon Marché in Seattle. The following year, the NWBP lent exhibits to other Bon Marché stores in the nearby cities of Tacoma, Bellingham, and Bellevue. Because of its popularity, the exhibit was displayed at stores as far away as Spokane, the Tri-Cities, and Yakima. Although the NWBP initially focused on African Americans in Seattle, it soon broadened the scope of the black experience to include artifacts and photos from throughout the Pacific Northwest. 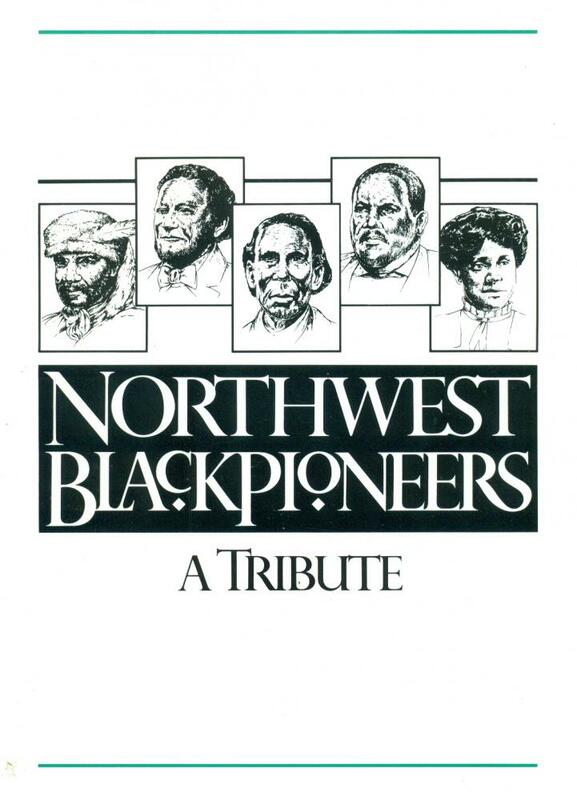 In 1988, in an effort to further promote the mission of the NWBP, the organization’s cofounder Ralph Hayes, with the support of corporate sponsor The Bon Marché, published the book Northwest Black Pioneers: A Centennial Tribute. The book examined the history and contributions of blacks in the entire Northwest. Because of the success of the exhibit and book, the NWBP also incorporated other successful chapters of its organization throughout the region, including those in Portland, Oregon and Spokane, Washington. As part of its community outreach projects in Seattle, the NWBP gave college scholarships to deserving African American high school students. In conjunction with the scholarships, the NWBP, under the leadership of Dr. Robert Gary, O.L. Mitchell, and Delores Booker, organized the first annual black college tour in 1996. The tour was designed to introduce high school seniors to campus communities and the college enrollment process in Historically Black Colleges and Universities (HCBUs). To support this endeavor, the organization forged a partnership with the University of Washington and local businesses. The NWBP efforts to promote African American culture contributed to the opening of the Northwest African American Museum in Seattle in 2008. In 2002, the NWBP donated a bust of the African American pioneer George Washington Bush to Washington State University. Today, the NWBP continues to promote black history and culture in the region by lending its artifacts to schools, department stores and other public venues. Ralph Hayes, Northwest Black Pioneers: A Centennial Tribute (1988: Bon Marché Department Store); Jerrelene Williamson, Images of America: African Americans in Spokane (Arcadia Publishing 2010); http://nwbpcollegetour.com/5301.html.